There is still time to get some last minute gifts - or well-deserved treats for yourself - in. These beauty gadgets may be spendy, but they are certainly great investments for your skin and help save on other skincare and treatment expenses. Plus, having tried all seven, I can tell you they WORK, and are therefore good value for money. Scroll down for the lowdown on the top beauty gadgets out there, from cleansers to hair stylers. An integral part of my morning skincare. I have the grey version but rest assured that these come in fun colours! The silicone bristles do not need replacement and are gentle enough for you to use the device every day. Best of all, these need recharging so infrequently, you will not believe it - once a year! £99 or $139. Available in Sephora, malls across the UAE, and Boots, Selfridges and other department stores in the UK. Buy it here. Code LF15 for 15% off your order. An at-home laser hair removal device that has, within four uses, reduced my body hair to, what, one-tenths of what it used to be. Comes with facial and body attachments so you can use it everywhere. Starts at $385, depending on the model and attachments. This is one of the few at-home IPL devices that can be used on deeper skintones (though maybe not deeper than NC45), according to the SA in Boots. Available from Boots, Selfridges, Philips, John Lewis and so on. Reviewed here (PR sample). I have not had a salon facial in ages, but this gives me a post-facial glow and treats my skin gently - and does not break me out. It also increases absorption of your skincare. Costs $349 but this is rechargeable and low-maintenance. A great investment when you think of the cost of salon facials. Strictly speaking, #4 and #5 ought to be together on my list. I love my Clarisonic Mia 2 for complete makeup removal on heavy-makeup evenings BUT I only use the Cashmere brush heads. £125 or $149. Again, I prefer staid old grey but this is available in a range of colours and even designs now. Buy it here. Code LF15 for 15% off your order (applicable to the next three listings as well). These changed my life. Cashmere is the ONLY brush head people like me ought to use. Not the sensitive one. Not the one for large pores. Nope. If you have the remotest problem skin, if you want something that is the very anti-thesis of harsh, go for these. You'll thank me. £25 or $30 per brush-head. There is a smaller version that you can even use on the eye area to get makeup off. Say goodbye to all your foot files and scrubs and welcome the Emjoi Micro-Pedi into your regimen and your feet will turn soft, flake-free and even in no time. A very good deal for £24.95 or $30 on QVC. Another product in my Boots haul this Summer. My hair is not poker straight but it is certainly nowhere near curly, so I want what I do not have. This curls my hair unbelievably easily and painlessly. £120 or $130. BaByliss has been my go-to hair gadget brand from my Uni days and this is another huge hit from them. 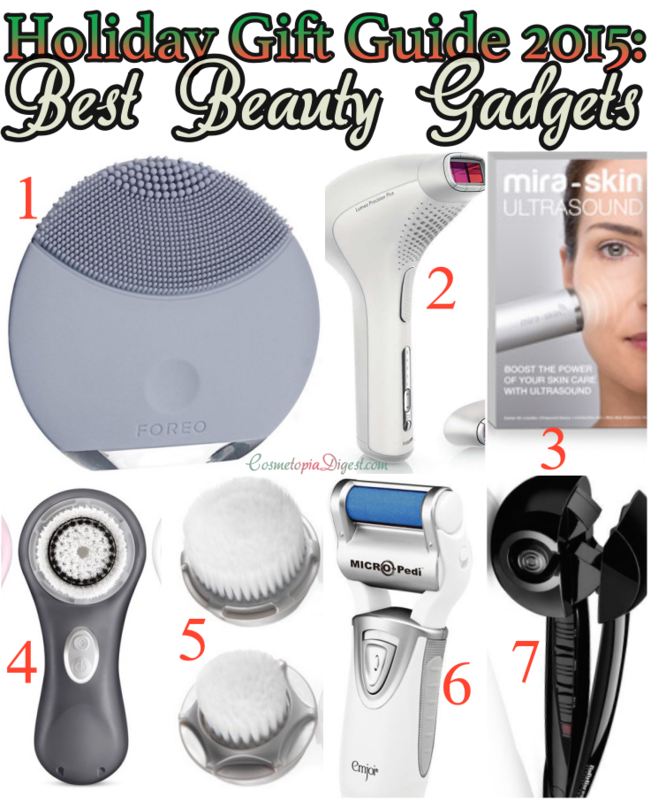 Which is your favourite beauty gadget? Tell me in the Disqus comments widget below.